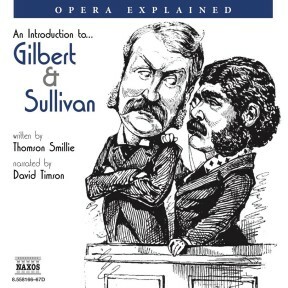 This audio-biography sets out to explain the timeless popularity of the operettas of Gilbert and Sullivan: a colourful partnership of the most successful writers in the history of light music. It highlights Gilbert’s mastery of language – his wit, his turn of phrase, his brilliant lyrics (alternately very funny and deeply moving) – and the special melodic gift which enabled Arthur Sullivan to write music of such beauty and style. While each was a master of his craft, it was the combination that created magic sparks and guaranteed Gilbert and Sullivan a place in musical history. The story of Gilbert and Sullivan – creators of such beloved works as The Mikado, H.M.S. Pinafore and The Pirates of Penzance – could form an operetta plot in itself. Their complex yet business-like dealings, their rows and reconciliations, and their obvious incompatibilities made for a relationship that could only be described as, well, Gilbertian. 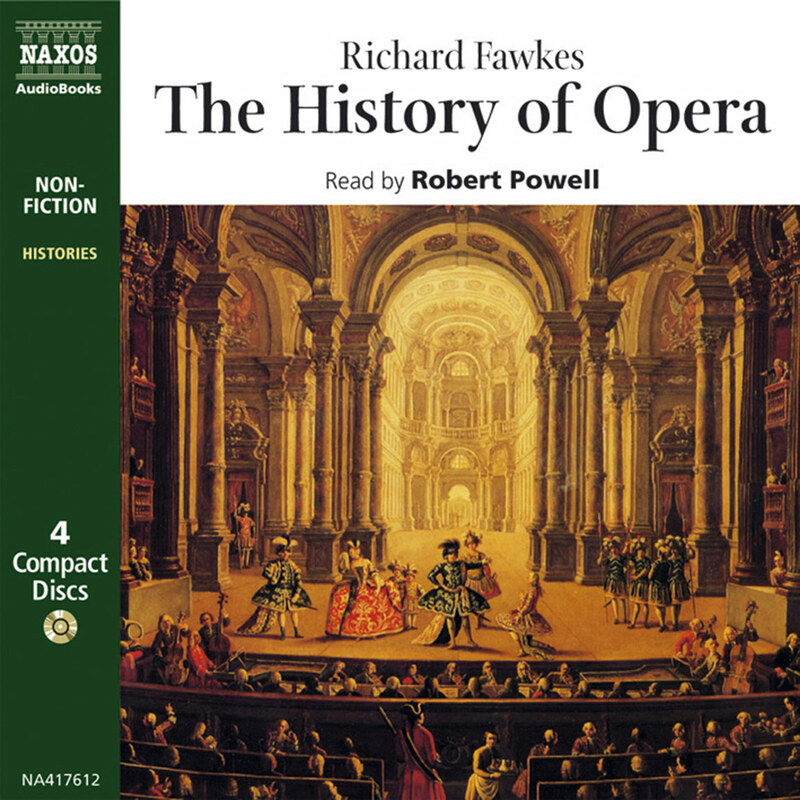 The object of this audio-biography is to tell this story, illustrating it with dozens of musical examples from their works. These highlight Gilbert’s extraordinary wit and his facility with the English language, Sullivan’s melodic gifts and colourful orchestrations, and above all the synergistic combination of these two men. No art form springs fully formed from the minds of its creators: it is the sum of all that has gone before. W.S. Gilbert’s work has its roots in the great traditions of English literature. He affected to dislike Shakespeare – or rather to think that the Bard of Avon was no match for WSG on a good day – but in fact his lyric verse and his sure dramatic sense owed much to Shakespeare and his successors. The lyrics for The Yeomen of the Guard, for instance, are indebted to the Elizabethan poets: ‘Is life a boon? If so it must befall, that death whene’er he call, must call too soon.’ In fact, if we accept Aristotle’s definition of wit as ‘educated arrogance’ the shoe fits perfectly, since Gilbert combined erudition and cultural literacy with a Victorian gentleman’s unwavering confidence in his own opinions. Sullivan’s generation grew up admiring Mendelssohn, and as a young scholar Sullivan was party to unearthing much lost music of Schubert. When Sullivan and his friend Grove (of dictionary fame) discovered the lost music for Schubert’s Rosamunde, they were so elated that they played leap-frog in the streets of Vienna. 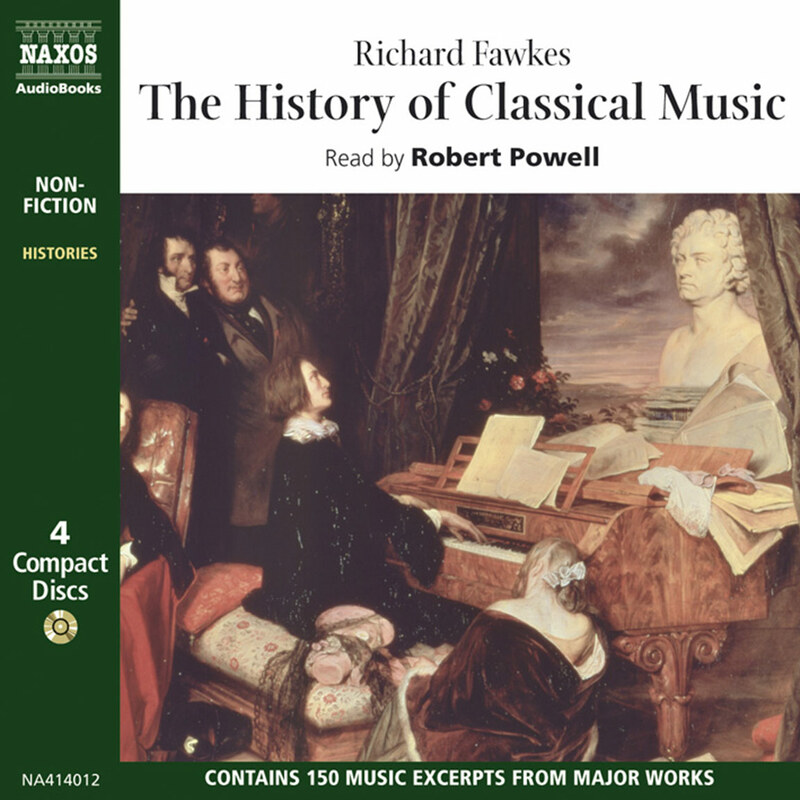 So to the long tradition of the Elizabethan Golden Age of English Music, of Purcell and Handel, Sullivan added an awareness of the German Romantics and of bel canto: Rossini, Donizetti and Bellini (though he seems to have had a blind spot for the music of Brahms). W.S. Gilbert and Arthur Sullivan were true opposites. In personality, they were totally different: Gilbert bluff, gruff and dangerous to cross; Sullivan charming, urbane and non-confrontational. In background, they were poles apart in Victorian England’s very stratified social system: Gilbert the son of a distinguished naval and medical family; Sullivan a poor boy, son of a military bandmaster from the mean streets of Lambeth. Gilbert struggled to establish a career, first as a barrister (with no success), then as a writer of comic verse, and later as a playwright. By contrast, Sullivan was a boy prodigy who won every scholarship and by his early twenties had established himself as the white hope of English music. At the time of their first successful collaboration, Trial by Jury in 1875, Sullivan, though six years the younger, was the more established artist – and to some extent was risking his reputation by writing a comic opera. But in the fifteen or so years of the most successful phase of their joint partnership both artists rose to the top of their respective professions. Gilbert became the most successful dramatist of the last quarter of the nineteenth century and Sullivan, in his day, the most admired British- born musician since Henry Purcell two hundred years before. However, the moment the gravestones closed over Sullivan and, eleven years later, over Gilbert their serious work all but disappeared. They live on in the public memory not as ‘Gilbert: pioneering writer/stage director’ or ‘Sullivan: Queen Victoria’s favourite composer’, but as two halves of one of the most successful partnerships in music history. My contention is that when a musician, who is master of many instruments, has a musical theme to express, he can express it as perfectly upon the simple tetrachord of mercury (in which there are, as we all know, no diatonic intervals whatever) as upon the more elaborate dis-diapason (with the familiar four tetrachords and the redundant note) which, I need not remind you, embraces in its simple consonance all the single, double, and inverted chords. The anecdote is significant in illuminating the relationship. You can imagine Gilbert sitting up all night memorising this and putting it tongue-in-cheek to the younger, more celebrated artist: the deference of the autodidact to the acknowledged authority. Apparently Sullivan never did get back to Gilbert with a definitive answer! To explain how the two disparate plot strands of this very Victorian story intersect we need to know about Richard D’Oyly Carte, one of the under-sung heroes of British theatrical life. 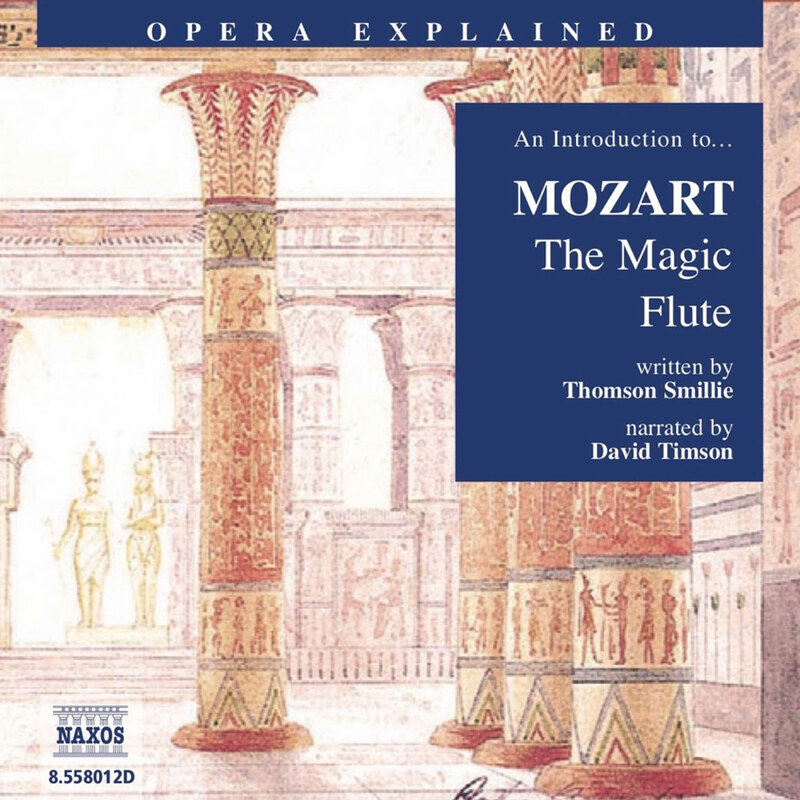 A musician himself, composer and concert manager, he was responsible not for the first collaboration of Gilbert and Sullivan – that credit goes to John Hollingshead for Thespis in 1871 – but for bringing them together a second time to produce Trial by Jury. His real achievement, however, lay in keeping them together over the long span from their first smash hit, H.M.S. Pinafore, to their final triumph, The Gondoliers, and beyond. Then, by ensuring that one or more D’Oyly Carte companies were always touring the UK, America or the Empire, he perpetuated the longest continuous tradition in British musical history – over 100 years of presenting works by just one pair of collaborators. Richard D’Oyly Carte was also a major figure in his own right: personal manager to such luminaries as Sarah Bernhardt and Oscar Wilde, builder of the Savoy Theatre, and, as creator of the luxurious Savoy and Claridge’s hotels, an influence in the burgeoning hospitality industry. Gilbert and Sullivan’s success, and more importantly their durability, is due to a number of factors and maybe also to an enormous slice of luck. Gilbert was a satirist in the great English tradition of Jonathan Swift, Pope and Dickens, and his plots make brilliant fun of the most pompous and revered British institutions: the law, politics and the military – among a host of others. Sullivan was an inspired melodist whose tunes delighted sophisticates one night and were whistled by delivery boys the next. Gilbert had a genius for the catchphrase and the comic turn of verse which enriched the English language: ‘A policeman’s lot is not a happy one’, ‘A Wand’ring Minstrel I’, ‘Let the punishment fit the crime’, and so on. Sullivan’s great ensembles and large concerted finales were a million miles ahead of most light musical entertainment of the day. Gilbert was one of the first stage directors, supervising every detail of the costumes and scenery and directing every stage movement down to the angle of each fan for the Japanese nobles in The Mikado. Sullivan was a master orchestral colourist who could give true dignity and expression to Gilbert’s verses. But all this is not enough to explain the overwhelming international success of their works, let alone the fact that they continue to give delight to audiences throughout the English-speaking world into the twenty-first century. For that we have to credit luck – or some sort of special alchemy, since Gilbert collaborated with a number of other successful composers of the day and Sullivan with other librettists yet not one of those resulting works has survived in the repertory. For some reason Gilbert’s verse inspired Sullivan to write his most enchanting and enduring music, and writing for the distinguished Sullivan challenged Gilbert to give his best. Certainly the results were a huge theatrical success. The first international blockbuster was H.M.S. Pinafore. Although today a satire on the Royal Navy and political opportunism does not engender the same kind of shock as it once did, we need to remember that the Navy was the bulwark of Empire and as such a sacred cow – to mix naval and farming metaphors in a manner Gilbert might have liked. To some very funny lyrics and a clever book, full of the catchphrases which gained popularity (such as, ‘What never? – Well, hardly ever…’), was added the freshness and vitality of Sullivan’s music. First London and soon New York succumbed to the effects of Pinaforemania. The Pirates of Penzance consolidated the success with its comic mixture of swashbuckling and some pointed humour aimed at British military honour, alleged valour, and the police force. On the face of it, Patience was a satire on the Aesthetic Movement and Princess Ida on the coming vogue for women’s higher education. 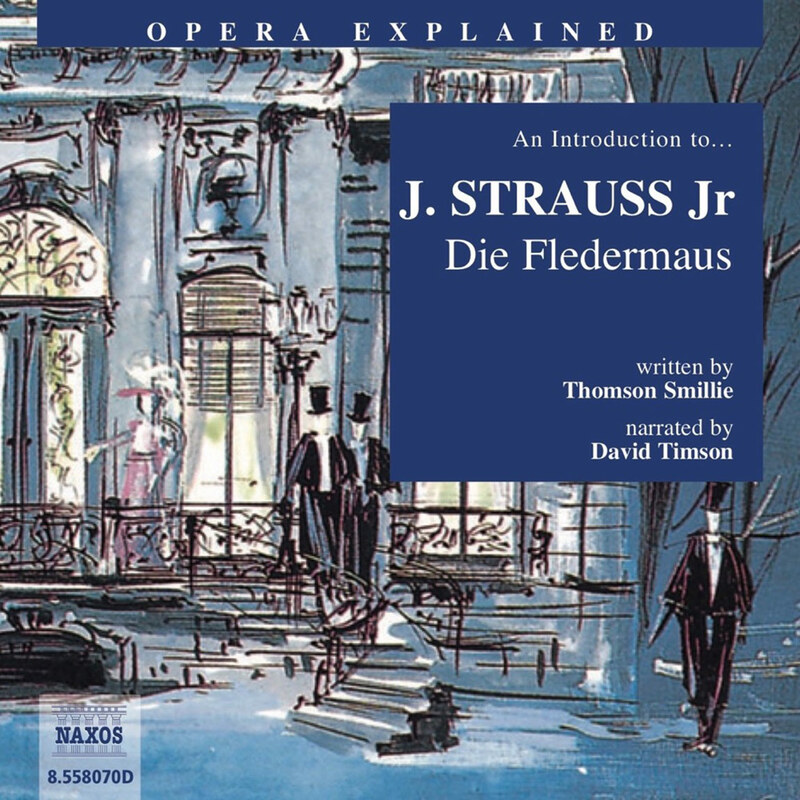 Both suffered from a too- great topicality which tended to date them, just as it did the later Ruddigore – a satire of Victorian melodrama. It is Sullivan’s music that saves them from total obscurity. The enchanting Iolanthe, all Mendelssohnian grace and musical pageantry, with occasional hints of Wagner, combines ruthless mockery of the House of Lords with deep Victorian sentiment. The nearly grand-operatic Yeomen of the Guard and the sunny, Italianate Gondoliers are unquestioned masterpieces which have lived on to delight generations. However, one work stands above all other light operas as maybe the supreme achievement of the genre: The Mikado. It is a satire on English hypocrisy and political jobbery, thinly veiled in Japanese costumes. At least one character has enhanced the English language: a pooh-bah is any over-influential official. Its lyrics are quoted with affection (‘Three little maids from school are we’, ‘My object all sublime’) and its melodies loved, parodied, jazzed-up and digitised. It has been the subject of a brilliant recent film Topsy-Turvy, a copy of the score was on Puccini’s desk as he wrote Madama Butterfly, and many would be surprised to read that the late, great Carlos Kleiber mentioned The Mikado as one of the four or six great operatic masterpieces he would have liked to conduct in his very selective career. All this is particularly remarkable when you consider that neither Sullivan nor Gilbert considered his work with the other to be the most important of his career. Gilbert did value his work for the Savoy Theatre – hence ‘Savoy Operas’ – more highly than Sullivan, for whom it sometimes seemed to be in part a means of financing a serious gambling habit. But both believed that they would be remembered as deeply serious artists (whatever they may be). So it is a plot twist of Gilbertian irony that their names are linked as indissolubly as oil and vinegar – not a bad metaphor given the mollifying nature of Sullivan’s music and the acetic quality of much of Gilbert’s wit. An interesting subtext to the story of these operettas concerns the people who performed them. The idea of stock characters – or types – neither began nor ended with Gilbert and Sullivan. Commedia dell’arte, the root of so much western comedy, is based on several recognisable types: the swooning, none-too-intelligent lover; the demure sweetheart with a highly developed commercial instinct; the bragging soldier; the wily lawyer; the old fool who wants a young wife, and so on. Television soap operas are based on stereotypes. As early as Trial by Jury in 1875 these ‘types’ were beginning to show themselves, and the most prominent and typically Gilbertian – the comic baritone – appears initially as The Learned Judge. This role was played at the first performances by the composer’s brother Fred Sullivan. His early death opened the door for George Grossmith, who would go on to create most of the great comic baritone roles (Ko-Ko, Sir Joseph, Jack Point etc.). Grossmith began and ended his career as an entertainer at the piano for private events, singing his own unique brand of comic songs, the most famous being ‘You should see me dance the polka’. A man of many talents, he also co-wrote one of the most successful comic novels of the era: The Diary of a Nobody. His successors form an almost dynastic series, so much so that one refers to periods in the long history of the D’Oyly Carte Company as ‘the Grossmith years’, ‘the [Sir Henry] Lytton years’, ‘the Martyn Green years’ and so on. 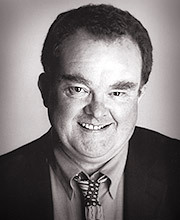 Peter Pratt sang the roles for a short time and the last great exponent was John Reed, who carried the tradition into the 1980s. For a now older generation, Martyn Green was the supreme exponent and the first to be captured by the new technology of full frequency range recordings – the long- playing records which brought in a new level of aural sophistication after the Second World War. Indeed the classic series of Gilbert and Sullivan recordings on which this audio-biography is based were among the first to benefit from the new technology. It is heard to greatest advantage in the powerful orchestrations of Iolanthe and later in The Yeomen of the Guard. It has to be said that fashion in singing changes as much as it does in clothes. There will always be people who cherish the crackly pre-electric recordings and enthuse that there are ‘no good singers nowadays’, preferring the distant thin echoes of a former and alleged ‘Golden Age’. To some ears the style of singing on these recordings – or more particularly the enunciation of the words – will seem a remote echo of mid-twentieth-century English when all sopranos aspired to the ‘South Ken’ vowels of their young sovereign. The men seem less ‘precious’ in both their vocal production and their pronunciation of English, and so have dated less. These recordings feature two of the greatest singers to appear with the D’Oyly Carte in its 100-year-plus history. One is Martyn Green, already mentioned, whose desiccated, slightly nasal tones are harnessed to exemplary diction – always a D’Oyly Carte hallmark – and whose versatility conveys character and complete conviction across a broad spectrum: from the snobbish upstart First Lord of the Admiralty in H.M.S. Pinafore, through the scheming low-life Ko-Ko in The Mikado, to a deeply poignant Jack Point in The Yeomen of the Guard. He was truly a star performer, who moved to America and directed many Gilbert and Sullivan productions there in the authentic manner. The other great singer is Darrell Fancourt, whose rich fruity bass is allied to a keen musical intelligence. While it is impossible not to be stirred by his excellent singing of the Pirate King and impressed by his vocal flexibility in Patience, it is in The Mikado that he makes his strongest impact. He sang the role over 3,000 times – though goodness knows how, as his bloodcurdling shriek of a laugh would seem to be enough to shred any set of vocal chords at first attempt. Another invaluable asset of these recordings is Isidore Godfrey, who for many decades in the middle of the twentieth century conducted performances the length and breadth of Britain, and abroad. Sullivan’s delicate music can be killed as easily by kindness – slow tempi which linger too lovingly – as by the old pro’s desire to get it all over and be in the pub before last orders. Godfrey avoids both poles, and his sensitive pacing and deep affection for the works shines through the recorded extracts. It was in fact Godfrey who maintained the integrity of Sullivan’s music after the copyright expired in 1950. Often the restrictions of touring meant that Sullivan’s already modest orchestral resources would be further diminished. Many touring venues would not have orchestra pits large enough to accommodate all the players needed, even if the management was willing to pay them – so conductors were often obliged to make do with a smaller group. For the recordings, however, no expense was spared and under the personal supervision of Bridget D’Oyly Carte, Richard’s granddaughter, a full symphony orchestra was able to do justice to the majesty of such numbers as the ‘March of the Peers’ in Iolanthe and the Overture to The Yeomen of the Guard. A pair of odd and interesting parallels exists between the traditions of the D’Oyly Carte Company and those of the more revered shrine of Richard Wagner’s Bayreuth. In both cases it was women who carried on the work of the Master or Masters with immense distinction. On Wagner’s death his widow Cosima kept the flame alight and the creditors at bay, and in the case of the Savoy it was D’Oyly Carte’s widow Helen Lenoir, a canny Scots businesswoman. Later the mantle would fall to Wagner’s redoubtable Welsh daughter-in-law Winifred and, in Gilbert and Sullivan’s case, to the remarkable Bridget D’Oyly Carte. She personally supervised all the company’s activities, including these present recordings. Not to press the comparisons too far, another parallel between Bayreuth and the Savoy is in the area of tradition. Passionate supporters of Richard Wagner would decry every departure from tradition as established by the Master. Not a breastplate was to be changed, not a horned helmet altered, not a leaf in Siegfried’s forest displaced from what had been established by Wagner at the first performances. The Wagner family deserves great credit for resisting this museum approach to opera production: to this day, any visit to Bayreuth is enlivened by cheers for the conductor alternating with savage boos for an iconoclastic stage director or designer. Fans of Gilbert and Sullivan are not quite so impassioned, but the disapproving rattle of matinée teacups would be sure to greet any departure from traditional stage business. Audiences over the years have also demanded endless encores of popular numbers in which traditional comic routines have been regularly demanded and supplied. Of course tradition is all very well, but when it becomes routine it produces a hardening of the artistic arteries. That, along with the mounting costs of touring, led to a decline in popularity and the eventual demise of the old D’Oyly Carte Company in 1982. Subsequent attempts at revival have met with enough success to indicate that there is robust life remaining in these featherweight works. Copyright law had allowed the D’Oyly Carte Company to retain sole rights to Sullivan’s music until fifty years after his death (he died in 1900). The longer-lived Gilbert did not emerge from copyright protection until 1961, at which point Sadler’s Wells Opera – now the English National Opera – produced their version of Iolanthe. For the first time, people heard the full orchestral, vocal and choral resources of a major opera company applied to one of the works. A totally different approach was taken in the early 80s by Joseph Papp. His souped-up version of Sullivan’s music – complete with keyboards and synthesisers – shocked the purists; but his comic verve in involving dastardly pirates and Keystone Cop policemen delighted new audiences on Broadway, in the West End, and later on film. 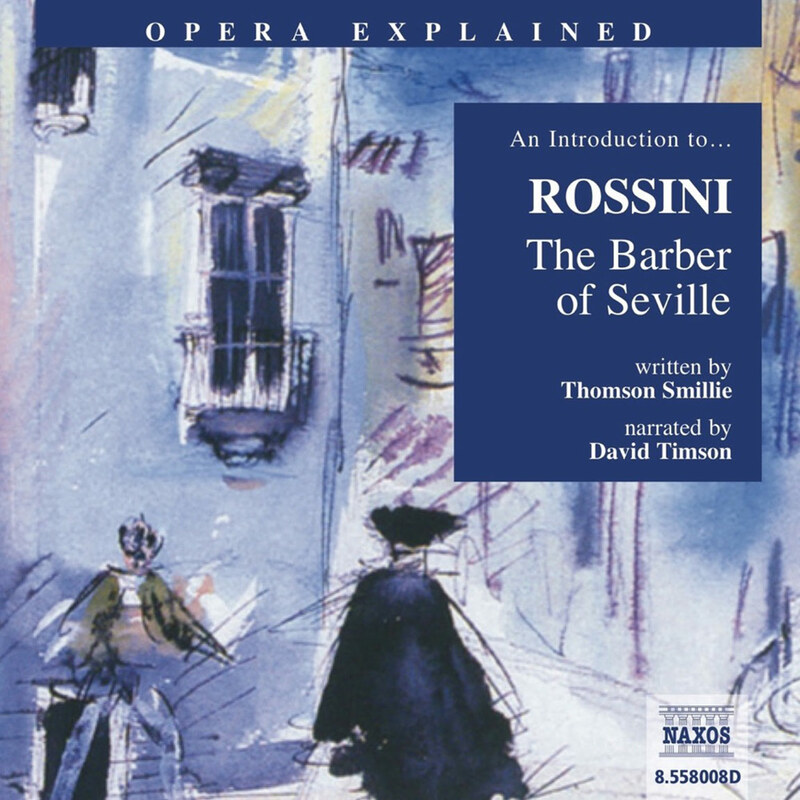 This audio-biography tells a fascinating tale and enlivens it with some of the funniest lyrics and most heart-warming music in the repertory of light opera. It also gives a pencil sketch of a long-vanished age when, in the words of Iolanthe, ‘Britain really ruled the waves’: Gilbert and Sullivan proved themselves to be not only jesters of a great period in British history but also, oddly enough, its most durable chroniclers.